I added a date to the title of this post because I doubt that our initial round of repairs will be our last! 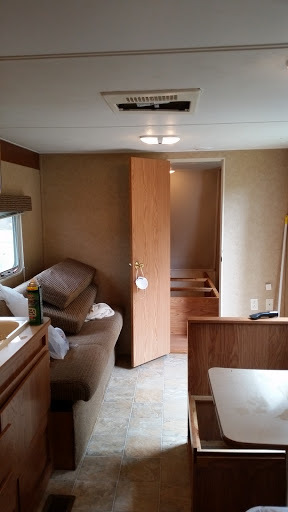 We got a great deal on a used RV, but there was clear evidence of leaks, especially in the bedroom. When we took the mattress out, we saw just how bad the plywood below was damaged and moldy. I still spent the first day cleaning and we ended the day with a bug bomb to reduce the lady bug population!